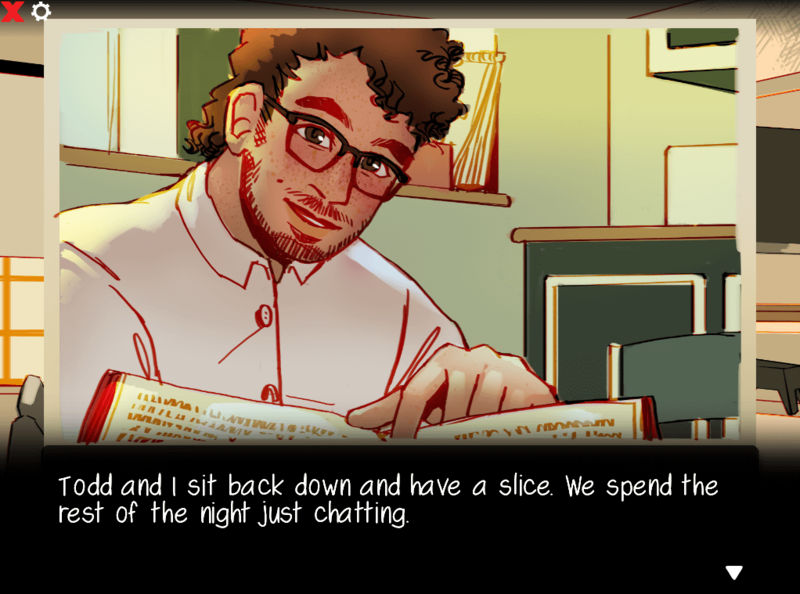 Pairanormal is a wholesome dating sim that’s more than meets the eye, with supernatural overtones and several characters based on prominent gaming YouTubers. You take on the role of a newcomer to a high school which is home to some unusual students and even more unusual happenings. As is revealed to you early in the game, you have amnesia and little to no memory of your past. The high school’s Paranormal Club decides to help you unravel the mystery of your predicament, and you can choose which of them you’d like to date along the way. So far, the first chapters have revealed thoughtful character development, a commitment to the paranormal themes, compassion and a sense of humor. Pairanormal is also LGBTQ+ friendly, as the protagonist is referred to using ‘they’ and is able to romance both male and female characters alike. With witty dialogue, endearing characters and intriguing mysteries, Pairanormal is sure to be a delight. It also has special appeal to fans of the YouTubers upon which the characters are based. For the low price of zero dollars, there’s no reason not to give it a spin. What can I say about Doki Doki Literature Club that hasn’t already been said? 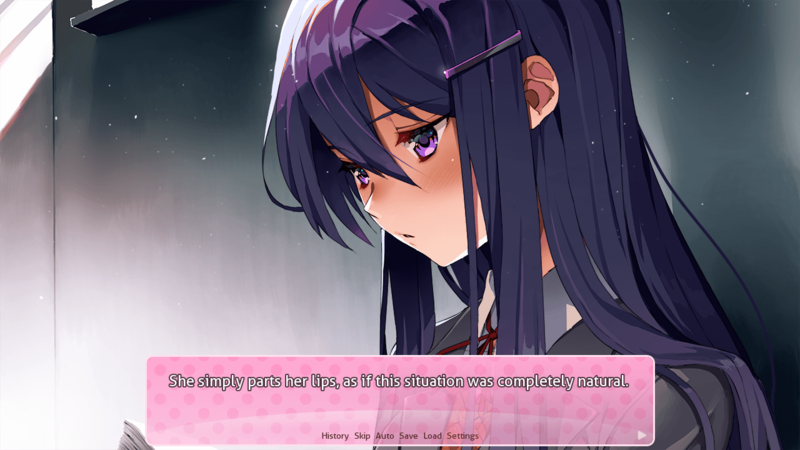 It’s a visual-novel-style game in which you join your school’s literature club and write poems each evening to try to woo one of the female club members. Three hours pass and you might be forgiven for thinking this is all the game has to offer, but the ‘Psychological horror’ Steam tag is there for a reason. In the final hour or so, Doki Doki Literature Club goes completely off the rails in ways I won’t spoil here, but the game nigh on breaks by the time you’re done with it, and I doubt you’ll find a visual novel this interesting elsewhere for such a low price point. Yes, yes, we’re a little late for Halloween. But the adventures of Ronald the ghost in (recently released) Spook ‘Em are enjoyable all year around. Spook ‘Em is a platformer made in the Pico-8 engine which has you sneaking around and shocking trick-or-treaters to steal all of their candy. Ronald is a particularly weighty ghost, as it turns out, and plummets toward the ground shortly after jumping — however this can be used to your advantage. Ronald achieves successful scares by appearing from the shadows while close to his victims (otherwise they simply emit a ‘Meh’ and he misses his chance), however he can only enter the shadows while static or travelling vertically. Here’s where that falling and jumping comes into place; as it turns out, Spook ‘Em is an extremely pacey stealth game… very impressive for something thrown together for the OMGJam5 over a long weekend. Eldon Crowe is a pretty large game hidden in the disguise of a curious little gem, which very much fits with the mystery genre that it is playing with. The game is one or two steps above a Bitsy game (and I say that with all compliments in mind — I am a huge fan of Bitsy and everything it has done for the indie game-design world!) and centers around an investigator showing up to a seemingly abandoned mansion to solve a series of unexplainable crimes and events. The graphics are very simple, one-bit pixel sprites, but the feel of the game lends itself to pulling you deeper and deeper down its rabbit hole. An eerie collage of creepy sounds repeats itself as you discover various problems, then track down the items with which to solve them. Unlike most point-and-click-style games — which this is not, but certainly borrows many traits from — Eldon Crowe does not let you amass a large inventory of items with which to solve issues at hand. Instead, every time you pick up one item, it is replaced with whatever you last had on the ground. Because of this, you cannot just keep randomly trying things out until you find a solution; you must plan and think logically if you are going to solve the case. The only issue I take is with the sound. Although it creates an amazing mood and has been awesomely put together, I couldn’t really tell if I was annoyed by the loop or drawn further into the story because of it. Overall a wonderful game, please check it out! ArtWired is a strange point-and-click adventure game full of mystery. You play as the school’s janitor. You have been tasked with fixing up a new boiler — but some of the parts seem to be missing. You need to go around and find these parts before you are able to complete your job. Everything seems normal, until you complete your first task. Then you start to find that the school you once knew has some seriously strange happenings. There is no headmaster, yet someone is giving you directions. The students all seemed to have disappeared, and it is up to you to find and save them. This takes a bit of figuring out — there are also a bunch of endings which result in you failing, depending on where you decide to explore. This strange voice telling you what to do might not be who you need to trust. Or maybe you’d like to be on their side — I mean, students are super annoying anyway. 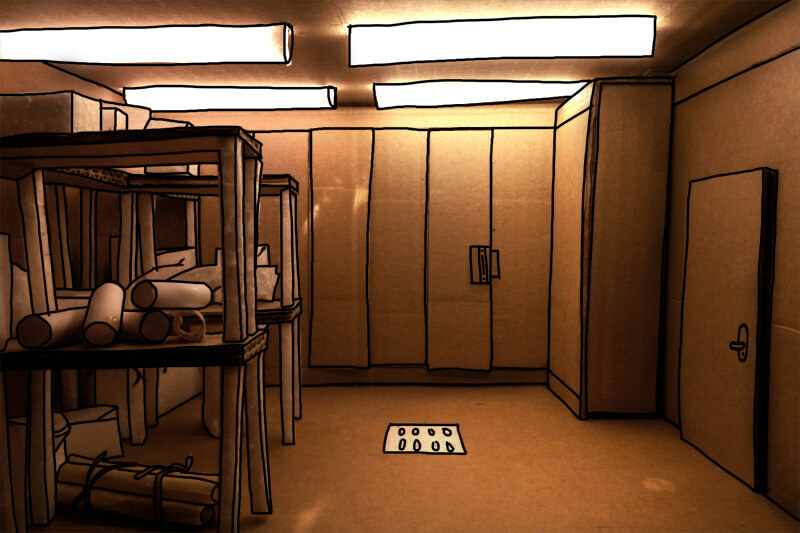 ArtWired is a short point-and-click adventure game — but one well worth playing. Between the neat art style, lovely audio and strangeness, this makes a good little experience. Disclaimer: Jupiter Hadley, one of the website owners, is an Adept Game Wizard for Armor Games. You can read more information on our disclaimers here.